The Pilates method is rooted in the idea that humans are remarkably adaptable and capable of recovery and growth at any age. 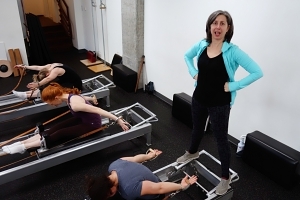 Effective Pilates workouts consist of a well-defined series of exercises performed with precision and control, done in the correct order and at a brisk pace. Atlas Pilates expert instructors are comprehensively trained in the Pilates method and educated in human anatomy. Our teachers are professionals who teach Pilates exclusively, and over years of teaching daily develop very high body literacy. They are able to see unhealthy imbalances, steer around injuries, and direct healthy movement. Each of our teachers is skilled in working with all types of bodies and using the Pilates method to craft personalized workouts. They collaborate closely with each other and keep records to track progress and ensure that clients make progress towards reaching their fitness goals. 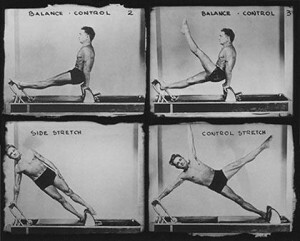 Joseph Pilates was the originator of the functional fitness system taught at Atlas Pilates. His ideas about fitness were based on a lifetime of observation and teaching experience. He believed that humans weren’t well adapted for the stresses of urban living and that regular controlled exposure to the physical demands of the natural world were required to be restored to state of physical and mental fitness. This seemed revolutionary when introduced to pre-spandex America nearly a century ago, but is now widely supported by exercise science. Contrology is designed to give you suppleness, natural grace, and skill that will be unmistakably reflected in the way you walk, in the way you play, and in the way you work. Pilates is widely recommended by physicians and physical therapists because regular low impact exercise, under direction of a trained instructor, reaches beyond the superficial muscles to exercise the deep structural muscles and other tissues of the pelvis, spine, and even the organs. 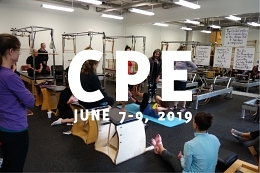 *Research data suggest that Pilates used as a specific core stability exercise incorporating functional movements can improve non-specific chronic low back pain in an active population compared to no intervention. Additionally, Pilates can improve general health, pain level, sports functioning, flexibility, and proprioception in individuals with chronic low back pain. — Gladwell, Valerie, et al. “Does a program of Pilates improve chronic non-specific low back pain?.” Journal of sport rehabilitation 15.4 (2006): 338.